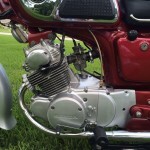 Restored 1968 Honda CD175 Motorcycle. This bike was lovingly restored by its owner. 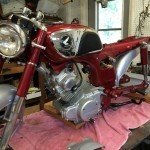 The motorcycle was stripped to the bare frame and completely rebuilt. 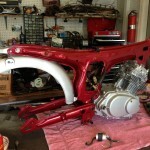 The frame, gas tank, fenders, forks, side covers, swing arm and chain guard were professionally stripped and repainted. The motor was removed, disassembled, cleaned, polished and totally rebuilt. 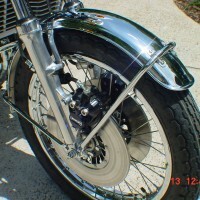 The chrome fuel tank sides were re-chromed. 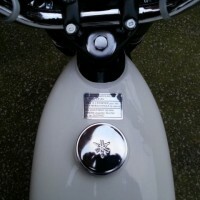 NOS emblems and NOS knee guards were fitted. The wheels were rebuilt with new old stock Honda rims and new spokes. 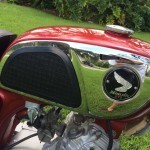 Reproductions emblems were fitted to the side panels. 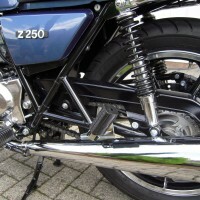 The main and side stands were powder coated and fitted with new rubbers. 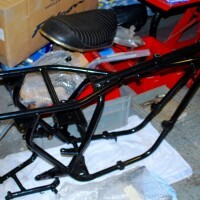 The seat frame was powder coated and fitted with new foam and a new seat cover with the correct chrome trim. New signal lights were fitted. A new tail light was added. 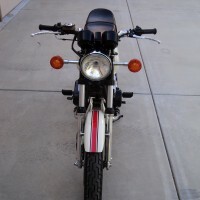 A great restored Honda CD175 Motorcycle. 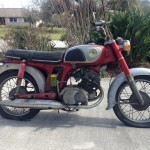 Honda CD175 – 1968 For Sale or Wanted? 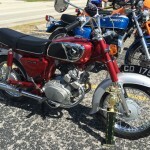 If you're looking for the perfect Honda CD175 – 1968 for sale then take a look at the hundreds of restored classic motorcycles listed on our extensive Motorcycles For Sale pages. 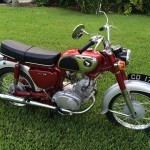 We regularly feature very nice restored Honda CD175 – 1968 bikes for sale. 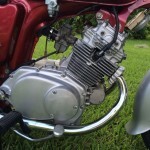 Spares and Parts for your Honda CD175 – 1968? 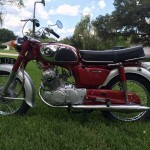 Workshop Manual for your Honda CD175 – 1968?